John Bolton, the National Security Adviser of Pres. Trump, visited Russia, Azerbaijan, Armenia and Georgia in October, conveying the White House position on regional and international issues. Bolton is known as a hawk on foreign policy and is often described as a warmonger for his extremist positions. In his meetings with Armenian officials, Bolton spoke about US sanctions on Iran which may affect third countries, including Armenia. He also made a surprise offer to sell American weapons to Armenia and discussed Armenian-Turkish relations, and the resolution of the Artsakh conflict. Putting a positive spin on his meetings in Armenia, Bolton tweeted: “Yesterday I had a nice visit to Armenia, an important friend in the region. I enjoyed productive conversations with the [Acting] Prime Minister and his national security team.” Despite the heated relations between the United States and Russia, Armenia has to maintain a delicate balance between the two superpowers. On the one hand, Armenia relies on Russia for its critical needs: weapons, energy, and trade, and therefore, cannot afford to antagonize its strategic ally. On the other hand, Armenia has maintained friendly relations with many other countries, particularly Western Europe and the United States. Bolton surprised his Armenian hosts by offering them to purchase American weapons by stating that they are superior to those of Russia. However, he did not mention how impoverished Armenia would be able to pay for these weapons. As we know, Russia supplies the bulk of Armenia’s weapons either by providing loans or at discount prices. Pashinyan responded by stating that Armenia will consider the American offer, while Acting Defense Minister Davit Tonoyan told NEWS.am that there was no need to purchase US weapons at this time. By acquiring American weapons, Armenia would risk antagonizing Russia, its main source of arms. Secondly, the United States may be using its offer to Armenia as a cover to sell multi-billion dollars of advanced weapons to Azerbaijan, something it can afford to purchase, while Armenia cannot. Bolton’s other illogical statement was that the Russian sale of weapons to Armenia and Azerbaijan has hampered the settlement of the Artsakh conflict. Ironically, this is exactly what Bolton is proposing by offering to sell US weapons to both countries. In my opinion, the United States and all other countries should refrain from selling weapons to both Armenia and Azerbaijan! Pouring more weapons into a conflict zone can only to lead to increased violence and deaths on both sides. Bolton declared that the resolution of the Artsakh conflict would help open Turkey’s border with Armenia. 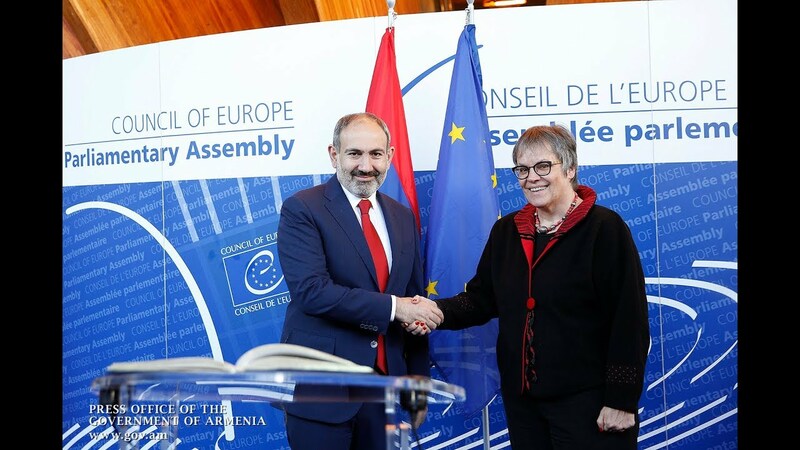 Pashinyan responded by stating that Armenia is ready to establish relations and have open borders with Turkey, however, without any preconditions which Turkey tried to impose by linking the opening of the border with the Artsakh conflict. 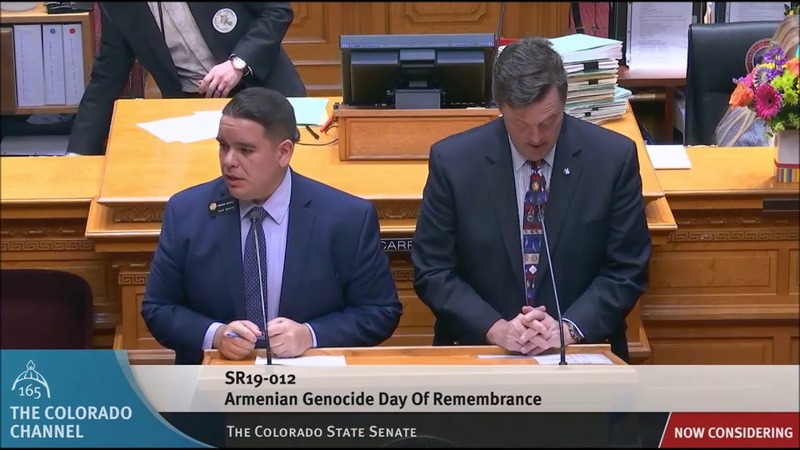 To counter Turkey’s precondition, I suggest that Armenia impose its own precondition by linking the opening of the border with Turkish recognition of the Armenian Genocide. Bolton suggested that the December 9 Parliamentary elections, during which Pashinyan’s political party is expected to win the majority of seats, will give him a strong mandate to take decisive steps in the resolution of the Artsakh conflict. Bolton did not seem to be aware of Pashinyan’s repeated statements that “the ones who determine whether to resolve or not resolve the Karabakh conflict are the Armenian people, and specifically the people of Armenia, the people of Artsakh and in this case also the Diaspora, because this is a Pan-Armenian issue.” As Armenia is facing both internal and external uncertainties, it is mandatory that Armenians worldwide support their homeland and join forces against their common adversaries.